It’s so easy to project our dissatisfaction with ourselves outward onto others. It feels easier than dealing with our issues with ourselves, but it can do so much damage to our relationships that create more work for us to mend. 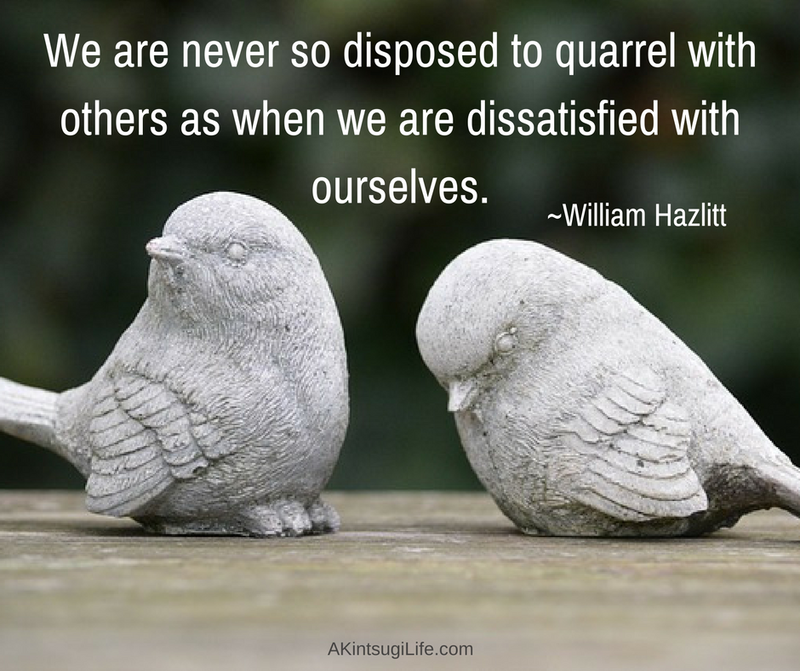 What would happen if the next time you are feeling inclined to quarrel with those around you, you stopped to consider where you are dissatisfied with yourself instead of starting that argument with them? What might that do for your own growth and for peace in your relationships and the world around you?